Handmade 3mm wide platinum wedding ring flush set with 12 1.6mm RBC Fvs diamonds. 0.2ct. Also available in wider widths other metals and with alternative stones. Made for you in our workshop on the crossroads in Ditchling, East Sussex. Approximately £950 in 18ct yellow gold depending on your ring size. 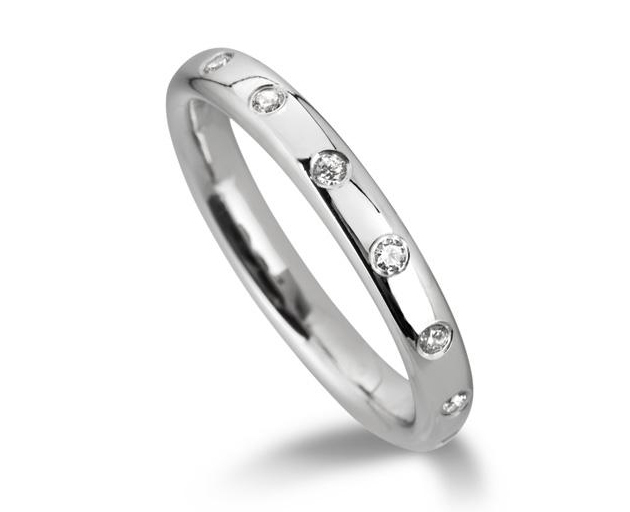 Approximately £1200 in platinum depending on your ring size.